THE HOUSING CHOICE VOUCHER PROGRAM WAITING LIST IS NOW CLOSED. WE WILL NOT BE ACCEPTING ANY HCV APPLICATIONS UNTIL THE WAITING LIST RE-OPENS. The applications that were postmarked and mailed by July 27, 2016 are currently being processed. After SEPTEMBER 1, 2016, you may check our website to see if you made the waiting list. 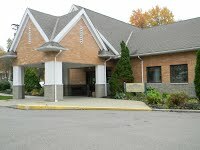 Please visit: www.lakehousing.org. Enter your social security number at “Waiting List Status & Position Look-up” (click here). If your name does not appear, you did not make this HCV waiting list. Please do not call the office to check on the status of your application. The office staff will not take your social security number over the phone. We estimate that we will begin to pull applications from this waiting list in January 2017. It is important that you notify our office in writing if your address changes. Application update form (click here). We will send you a letter when your application is pulled.